Two bedrooms duplex, two full bathrooms, Kitchen dining room, living room, Nineteen century New England home, with modern services, and appliances. Fully equipped, Tastefully decorated. Plenty of linens, towels, comforters, kitchenware, and china for twelve persons. All appliances are new, modern and from quality brands. Iron and board, toaster, coffeemaker, microwave, water-boiler, Wine rack, Wireless printer, silverware for twelve, etc. are also available. 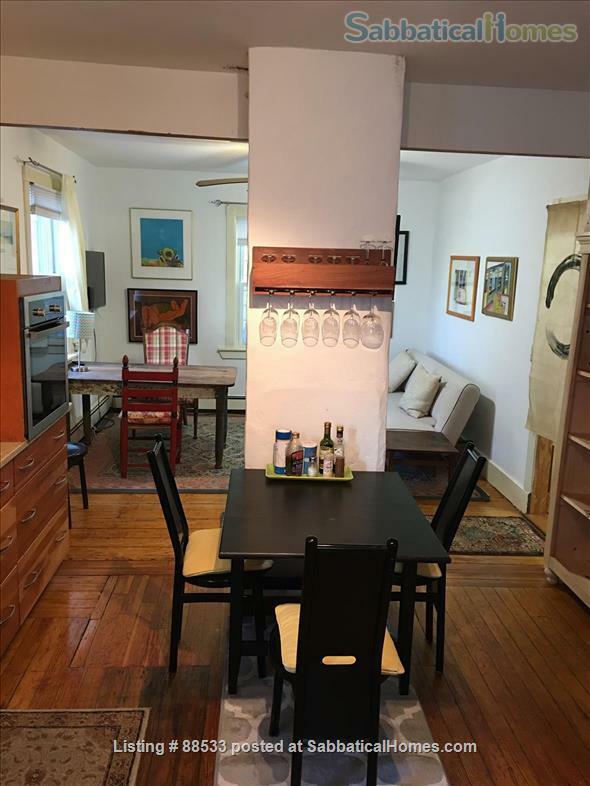 The Apartment has ample space for two couples, a family, or for a couple looking for space and tranquility at a few blocks from Harvard square and ten minutes bus ride to Boston. Situated on a quite street, ideal for relaxing and reading, yet at two blocks from shops, restaurants and cafes in the center of Cambridge. The neighbor has the charm of new England: tree lined streets, a very popular and lively bakery/cafe at fifty meters from my house where locals and students mingle. A nice place to write and check your emails. Two blocks away one can enjoy one of the most coveted parks along the Charles River with stunning views. It is ideal for sunbathing, running, reading or just sleeping under a tree. It is a landmark of Cambridge. I offer two large beds, plus a sleep-in couch, and two extra aero-beds should you need them for children or a guest. All rooms are very large with minimalistfurniture allowing ample space.